As a small agency with a big impact, JFS often has more work than it can manage. We rely heavily on volunteers to help us in accomplishing our goals. Here’s the story of two friends who are making a big impact through their work as volunteers. 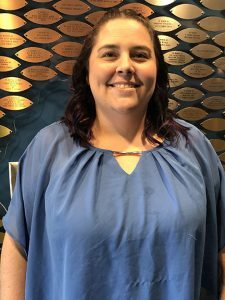 Continue Reading"JFS Volunteers, Friends Make Impact"
Our new therapist, Alyson Fogle, will be taking over as director of the Social Butterflies program at Jewish Family Service. Although all children can benefit from Social Skills Training, the Social Butterflies is a Social Skills Training Group for kiddos ages 5-8. Continue Reading"Social Butterflies Offers Social Skills for Kids!" We have a great deal to be proud of even though it took a while to get there. Here are some of the highlights of 2018. Continue Reading"The Year That Was: A Look Back and a Glimpse Forward"
Continue Reading"Life and Legacy : JFS Board President Marty Rogoff"